It has been two weeks since Thanksgiving and I have almost digested the mounds of turkey meat and accompaniments consumed during the festivity. I have also had time to process the meaning of this most American of holidays. Its origins go back right to the very founding of modern America in the early 17th century. Specifically, Thanksgiving commemorates the first successful harvest by a bunch of English Christian pilgrims who had come to the New World having fled religious persecution in the old country. They celebrated it their survival amid harsh conditions with the local Wampanoag tribe with whom they’d developed friendly relations. It was a landmark for the embryonic European settlement and also a highpoint in relations between the natives and newcomers, which later descended into displacement, death and disasters for the Indians. Almost five hundred years on from that original meal, Thanksgiving has grown into a national happening of epic proportions. 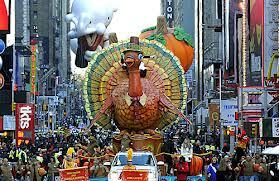 It’s hard to describe to outsiders what a big deal Thanksgiving is here. In the run up to the day, one half of the nation seems to be en-route – via crammed highways and overflowing airports – to be with the other half, who are frenetically preparing a monumental feast. Turkeys are the main attraction (and victim) of this annual eatathon. According to the American Turkey Federation (yes – it really exists) in 2013, 46 million of these plump birds where eaten at Thanksgiving, compared to 22 million at Christmas and 19 million at Easter. That means one turkey between every seven Americans, equaling a lot of poultry with room for considerable leftovers. This consumption demonstrates the primary place this holiday has above all others in the national calendar. Our own Thanksgiving experience with extended family in Long Island, came with all the traditional elements. A long traffic jam en-route to the gathering, vast quantities of great food, free-flowing alcohol, and a post mealtime gathering around the TV to watch the day’s big American football games (which all made sense after my second whisky). Some things were new and strange, such a dish of baked sweet potato sprinkled with marshmallows, but it was all overwhelmingly American in its warmth, generosity and plenty. Apart from the pleasure of eating and drinking surrounded by great company there was also for me, something deeply satisfying about the holiday itself. It is free of religious dogma, allowing people of all backgrounds to feel they can comfortably participate. Despite the fact that it has become about consumption (and post-Thanksgiving sales), there is an underlying sense that it is about paying homage to America as a country and a society, open to all its citizens. In the run up to Thanksgiving our local kosher supermarket was stocked with freezers full turkeys sufficient to feed most of the tribes of Israel. For American Jews it’s not just the food that kosher, it’s also the holiday itself. In researching this piece, I was surprised to find backing for Thanksgiving from some of the great orthodox Rabbis. 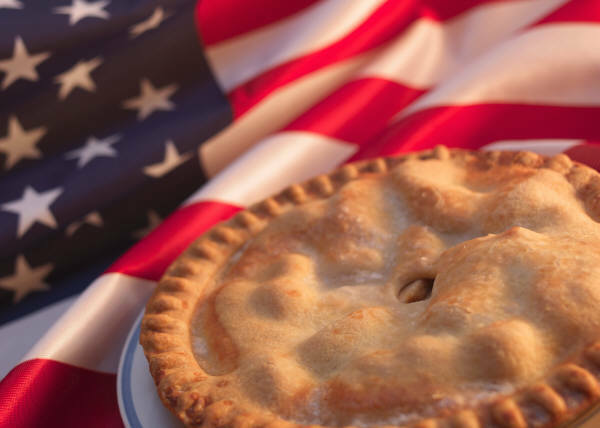 This holiday is a celebration of American-ness for all people in the country whatever their hyphenations: Irish-American, African-American, Jewish-American and so on. This is one of the great strengths and successes of the USA , that it has managed – even with certain caveats – to make citizenship here feel inclusive, and also to make people of wildly differing origins want to be able to be a part of this society, without having to give up on their particular background. Thus, despite my lack of American nationality, I am also beginning to feel the draw of Thanksgiving, and not just because of the prospect of the turkey with all the trimmings. Winter is upon us. The sweltering humidity has been replaced by shivering cold and bare trees. This morning I travelled into the center of the city by Metro, and as usual it was crowded with heavily swaddled commuters bracing themselves for the cold above ground. Except on this particular journey there was a spare seat in the midst of the crowded train carriage. It was empty as the neighbouring space was occupied by a raggedly dressed homeless man, slumped over fast asleep. No doubt he was on the train to get away from the biting chill on the streets. There are thousands other men and women in DC like him. They live in abandoned buildings, parks, doorways or wherever they can find a place to stay. 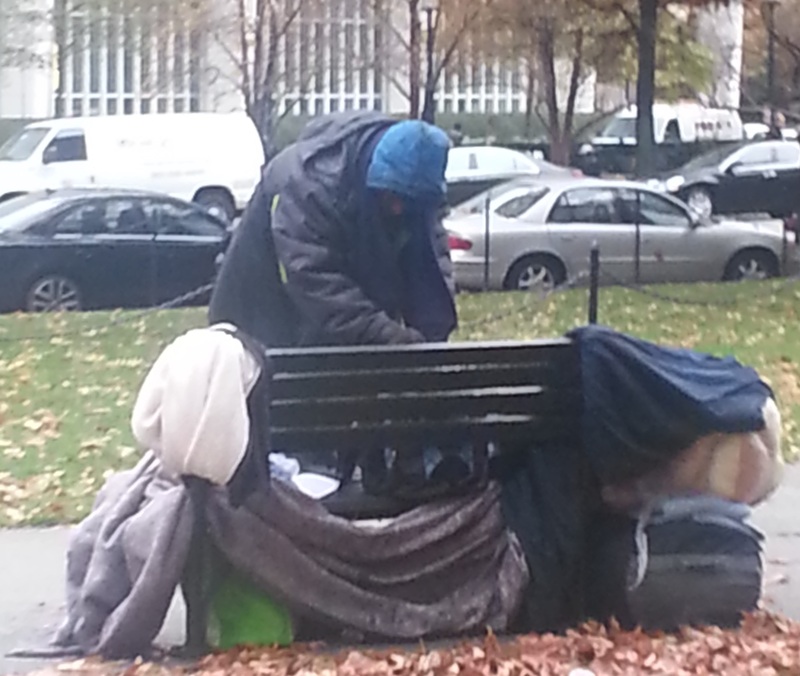 The most recent figures show that about 7,700 people are homeless among Washington’s 650,000 strong population. That is more than one person in a hundred. By comparison, London with a population of 8.2 million (more than ten times the size of DC) has approximately 2,000 people recorded as living on the streets. It’s hard to describe what this means in all its cruel reality on a cold Washington day – with the grand monuments, government and office buildings, set against the diminished and ragged destitute for whom these edifices serve as their front-room as well as their back-drop. It’s also hard to explain it to oneself – how there can be so much public despair and need in the capital of the world’s largest economy? In the morning as I exit the metro a couple of hundred meters from the White House I am greeted by the hulking form of a large middle-aged round-faced African-American man limping between the commuters cup in hand asking for money. ‘Spare a dollar for an old veteran’ he says. Most (often including myself), walk past him eyes guiltily lowered en-route to our comfortable jobs from our comfortable homes. Recently he’s taken to wearing a camouflage jacket either to underline his request or because it was what he got given to replace his old coat. Veterans are over-represented among the homeless. But in looking at how they are cared for, I learned that only two weeks ago, the very first hostel specifically catering for their needs was inaugurated. The planned building which is just a short walk from Congress will have just sixty apartments to cater for the many hundreds of homeless veterans in the city – leaving many with no chance of finding a space. Currently the street is a more desirable location than the hostels, even amid the biting cold and rain. The other day I got chatting to Lance, an unemployed navy veteran, who now resides on the doorstep of a major financial institution that lends out billions of dollars around the world. ‘I ain’t going into the hostels,’ he said, ‘they are full of crazies’. He told me how he and his friend Greg stick together at night reading their bibles for comfort. You can easily find those he is talking about wandering the streets shouting at invisible shadows or slumped in doorways – their demons quelled by drugs and alcohol. Lance, along with the hundreds of others like him on DC’s streets, represent those who have fallen through the cracks in American society. They may have lost their jobs, seen the break of their family, been struck by a debilitating (and costly) physical or mental illness, or suffered one of any number of other misfortunes. But in the US the cracks are bigger than Europe, and the fraying safety net comes with man-size holes. The homeless are America’s IDP’s – internally dispossessed people – casualties of an inadequate welfare and health system, and a society which can be unforgiving to those who can’t keep up. Coming from UK with its comfort blanket of benefits, free and universal health care and much more, it is a shock to see so much human distress co-existing alongside examples of such political and economic success. Generally speaking, in Britain, the government is perceived in terms of its responsibility to the individual, whereas in the US it is the other way around (as summed up by JFK’s: ‘ask not what your country can do for you, ask what you can do for your country’). In America there is a sense of can-do, dynamism and individualism grounded upon a work ethic that would induce mass-strikes across the Atlantic. This has brought prosperity and fortune with the US leading from the front in technological and industrial innovations, leaving much of Europe lagging far behind. But when people in the US can’t keep up – for whatever reason, they are faced with a far harsher existence. At the end of my day in DC, I am confronted with these dual realities as I walk back to the Metro by way of the grand public monuments and the people living on the streets. In doing so, I can only hope that this society which has achieved so much, can also find a way to fully and properly care for those who have found themselves – literally – left out in the cold. There is – as I have recently discovered – a straight line running from Ferguson, Missouri to Charleston, South Carolina. Ferguson is small town of twenty one thousand people sitting close to the St Louis International Airport, known until very recently for very little either in or out of the its home state. By contrast, Charleston with a population of one hundred and twenty thousand is a tourist mecca attracting visitors from near and far to experience its renowned Southern charm and architectural beauty. Yet these two places seemingly so dissimilar and separated by over eight hundred and fifty miles are inexorably linked by the issue of race. The connection between them reaches across centuries from slavery to segregation, right up to present day with the killing of Michael Brown, an unarmed eighteen year-old African-American shot by police in Ferguson. A few weeks ago I visited Charleston, and alongside experiencing great food and sweltering heat, I discovered that it is an appropriate place to begin when pondering the difficult and highly sensitive subject of race. One of my first stops was to one the city’s cobbled and palm tree-lined streets. Sitting opposite a clutch of picture postcard eighteenth-century houses, is a two story brick building that while modest in size, occupies a big place in the most shameful chapter of American history. It is believed to be the last surviving building of its kind which served as a slave market – a location for human beings to be bought and sold. 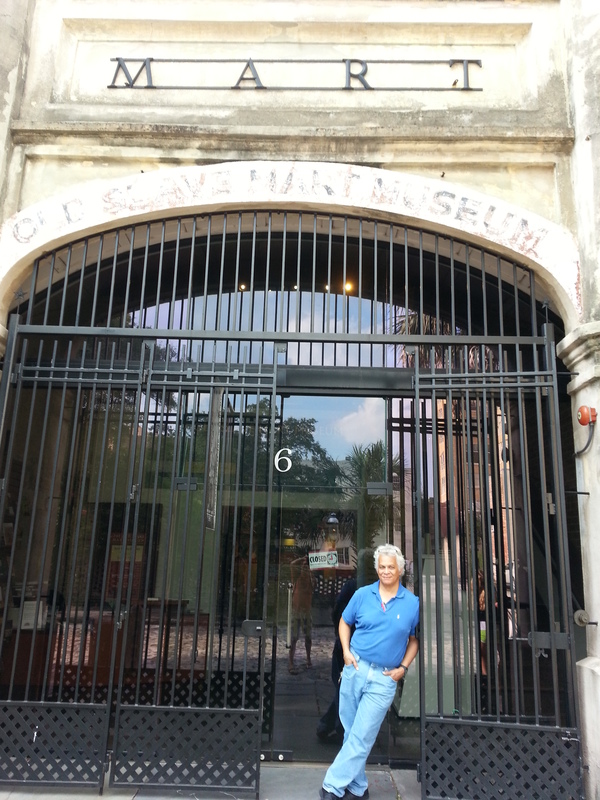 The Old Slave Mart – as it’s called – originally contained a jail, kitchen and morgue alongside room for potential buyers to inspect the human chattels. The space is now a museum, and recalls its former purpose along with the experience of those who passed through it. Alongside boards explaining the way in which men, women and children were priced and sold, are artifacts such as pamphlets advertising forthcoming auctions, and a leather whip used to flay those people destined to a life of slavery. The museum guides are the descendants of those who passed through Old Slave Mart and other places like it that once proliferated in Charleston. Walter Boegs – ‘biker, bartender, tour guide and concierge’ (in that order) says he is a living embodiment of Charleston’s mixed history. With his rich James Earl Jones-like voice, Walter describes the important place of Charleston in the slave trade, ‘forty percent of the half million Africans landed in North America came through the port’. He tells of how people were divided by their ‘owners’, irrespective of family bonds, and the scale of the commercial enterprise that was the international slave trade. About ten miles outside Charleston, are examples of where these people were put to work, and how they carved out a new society and economy for the benefit of others. 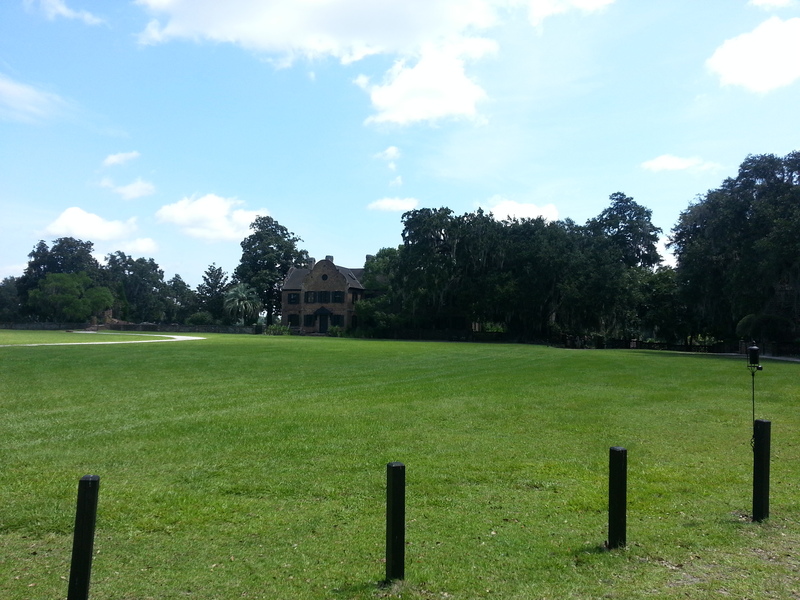 Middleton Place’s lush landscaped gardens line the banks of the nearby Ashley River. Barring the tropical climate, the grand house and surroundings that make up the former plantation, resemble an English stately home (think Downton Abbey with mosquitos). Here men, women and children once worked in the withering heat, planting, nursing and harvesting rice bound for markets in Europe. The Middleton family, originally from England founded the property and at its height they had 3,500 slaves. While the Middletons lived in faux-aristocratic grandeur, their slaves subsisted in simple wooden shacks possessing the same rights as the estate’s cattle, sheep and horses. This was of course a long time ago, and the current day Middleton Place Foundation carefully and sensitively describes the horror of what once transpired on the plantation. An African-American guide explains how the end of the civil war did bring about the official demise of slavery in the South but did not deliver freedom. That only came with civil rights over a century later. But even now securing the rightful place of African-Americans alongside others in the US is unfinished business. On the day I toured Middleton Place, the news from Missouri was of unrest and boiling anger following the death of Michael Brown, who had been shot six times and left uncovered on the street for four hours. Justifiable outrage consisting mostly of peaceful demonstrations (with a minority of violent outbursts) was met by M-16 wielding cops, a tank, and force resembling that of an occupying army, rather than a police force meant to serve the community. That is hardly surprising when you consider that among the fifty three officers of the Ferguson police force only three are black (the town is over 65% African-American). It’s also been reported that at least five of the Ferguson’s police officers are facing civil rights lawsuits for using excessive force (they all pre-date the killing of Michael Brown). It would be comforting to think that Ferguson is an aberration – but that is not the case. In many places in the US today, having a black skin is a presumption of guilt in the eyes of the police and other officialdom. While racial profiling has been ruled illegal by the Constitution, on the ground it flourishes, meaning that African-American drivers are around four or five times more likely to be stopped than others. Data on the numbers of African-Americans killed by police are hard to come by, but in the course of a few weeks around the time of Michael Brown’s killing a further four other unarmed black men were killed by police around the country. Additionally, according to a 2013 report, one in three (!) African-American men can expect to go to prison at some point in their lifetime (compared tone in seventeen for whites). These figures are shocking but absent of the anger and frustration that African-Americans must feel when confronted with what this means in reality for them and their communities. It seems inconceivable that a country founded upon the notion of the equality of all men possesses such inequalities. African-Americans say the system is stacked against them, and it’s easy to see what they mean. For while segregation ceased decades ago, the de-facto separation of people according to race has persisted. Washington D.C is over fifty percent black, and yet where we live in the prosperous North West you are utterly separated from that reality with a population that is overwhelmingly white. In my neighborhood we benefit from good transport links, well-funded schools, and excellent public services from municipal swimming pools to numerous well-maintained playgrounds. That is not the situation for the African-American majority in D.C.
And while race is an issue that bubbles beneath the surface, discussion of it is codified. While on vacation near Charleston, I got talking one day while relaxing by the swimming pool to a (white) man called Rick from rural Ohio. He explained to me that gun crime began in the wake of the 1968 riots (sparked by the assassination of Martin Luther King). Welfare – I was told – was an issue of mainly ‘minorities’ and some others not wanting to work. Rick never uttered the word ‘black’ – he didn’t have to – he hid the term in plain, sight cloaking his racism with euphemisms. It’s the same modus operandi used by others, including some nationally broadcast commentators, when talking about drugs, law and order, or other social issues. As an outsider (and a privileged white one at that), I am ignorant of what life is like for African Americans. In observing race relations, there are radically different impressions to draw upon. On the positive side of the balance sheet the country has travelled a massive distance in a relatively short period. It has gone from situation just decades ago, when black people in many places in the U.S were not allowed to sit at the same lunch counter as white people, to a place where a man of color is incumbent in the Oval Office. On the negative side, the socio-economic underclass in DC (and in other cities in the US) is overwhelmingly black. In dealings with the police, the courts, in housing, education and a multitude of others ways, discrimination and disadvantage are everyday occurrences for African-Americans. This situation has come about in the US over the course of hundreds of years. 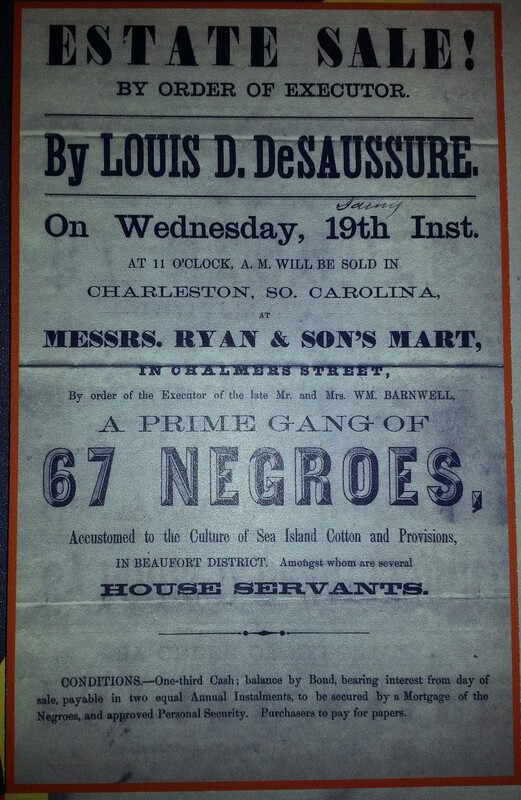 Starting in Charleston and elsewhere, it stripped a people of their culture, family ties, dignity and most basic rights. It dehumanized them and resulted in unfathomable suffering. Modern America promises full equality and the same opportunities for all, yet many African-Americans are still waiting for that to be realized. The shadow of Charleston still tragically hangs over the country, and continues to be felt as far away as Ferguson and beyond. We are back in Washington following the traditional Fourth of July holiday weekend, which commemorates the humiliation of my mother country – then the dominant world power, by a bunch of – then upstart – colonies. Putting wounded national pride to one side (after 238 years, we can do that) it’s a wonderful occasion filled with fireworks, food, shameless flag-waving, and cold beer over hot barbeques. 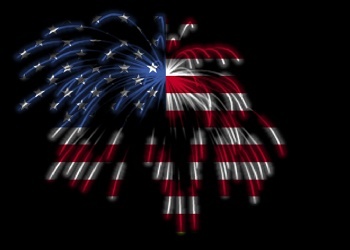 Aside from the enjoyable frivolities, for Americans the 4th July is a celebration of hard-won freedom – which to outsiders may sound corny, but to people here is deeply and sincerely felt. We spent the holiday with friends in their lodge nestled in a beautiful wooded corner of rural Pennsylvania, enjoying (quite literally) the flavor of one of the original colonies that was a cornerstone of the USA. Saturday night was spent watching festive fireworks colour the sky red, white and blue, while leaning against our cars in the parking lot of ‘Sundae’s’ the local ice-cream parlour. Days were mainly spent hanging or floating around in the local lake, eating or planning what to eat next. Taking a break from the serious business of idleness, we drove one day to Bedford, the local picture-postcard town which has figured in some of the key events in America’s history. According to a local signpost George Washington stayed in the town while putting down the 1791 Whisky Rebellion – a local uprising against a new tax. The insurrection began following an attempt by the Federal Government to raise taxes in the form of whisky and resisted by local people who saw it as breaching the principles of the recently fought American Revolution against the British. Nowadays the peace of Bedford is only broken by the sound of old bikers riding up and down Main Street on their Harley Davidsons. The main thoroughfare with its art deco petrol station, domed courthouse and numerous bars is like a Norman Rockwell painting brought to life. At first glance it contains all the virtues of small town America in all its down to earth and welcoming glory. While there are some tourists, the town mostly serves the needs of the local rural community. A few doors down from the S and S appliance store and opposite the local Italian restaurant is the innocuously named Cove Creek Outfitters (‘premier sporting and apparel company’). Downstairs past the fishing waders and walking boots is a room containing sufficient weaponry to wage a small war. Alongside the back wall are over one hundred types of rifles lined up with military-like precision. Inside the glass counter along the front are an equal number of hand guns, and next to them a few choice items including semi-automatic weapons that seem better suited to war zones than such a pastoral setting. In surveying the hardware, I casually asked manager if as a foreign citizen I could get a weapon. ‘No problem, just more paperwork’ came the response. Given that there is no waiting period to get a gun in Pennsylvania, if I hadn’t left my passport at home I could have purchased – there and then – my very own Glock. The same holiday weekend as I was enjoying the peace of rural Pennsylvania, fourteen people were killed and a further sixty eight were injured in gun attacks in Chicago. The amount of bloodshed managed to get the casualties (briefly) into the national news. Given that approximately 30,000 people a year in the US die in gun related incidents (including suicides), it takes a sufficiently large dose of death and destruction to win attention. Nowadays it’s only the horrific massacres of innocents in elementary schools, cinemas, and college campuses that are able to generate significant interest and outrage. Growing up in virtually gun-free Britain I was conditioned to the absence rather than prevalence of guns. In those days (as is mostly the case today) the police fought crime with batons rather than pistols. I therefore fail to see the attraction or necessity of guns. At a stretch, I can understand why people might want to hunt, foregoing the sterile supermarket aisles for the gritty backwoods in search of meat for supper. But what eludes me is any possible explanation for the ready availability of weapons whose specific purpose is to maim or kill others with maximum power and minimum effort. Living in Israel attuned me to the ubiquity of weapons, and I even became used to having a soldier’s M-16 resting against me in a crowded bus. But that country has been in a constant state of war for all of its existence, and despite the proliferation of weapons there is more a sense of sad acceptance rather than pride in gun ownership. In Israel my daughters participated in drills in case of missile attack (such as the country is now experiencing), which while unnerving were also understandable. In the US, the girls are forced to undergo ‘lock-downs’ during which they have to hide in complete silence in their classrooms in case of attack from an armed psychopath, who would have bought his weapon with ease on the basis of a right, rather than a need. In trying to make sense of this situation, I have attempted to see guns as an outgrowth of American history and political culture. I remind myself that America was founded in a revolution against oppression, on the promise of ‘government of the people by the people’. I tell myself that in the US, gun ownership is seen as an embodiment of that power and of protection against tyranny. I try to see in Pennsylvania’s ‘Whisky Rebellion’ two hundred years ago, an example of the distrust viscerally felt towards the Federal Government that still burns strong today. But all those explanations crumble to dust when confronted by the raw numbers of those killed by weapons. Americans – as I have discovered – are extraordinarily open, warm, generous and friendly. I don’t believe that the people of Bedford, Chicago or any other part of the US are inherently more violent than others around the world. 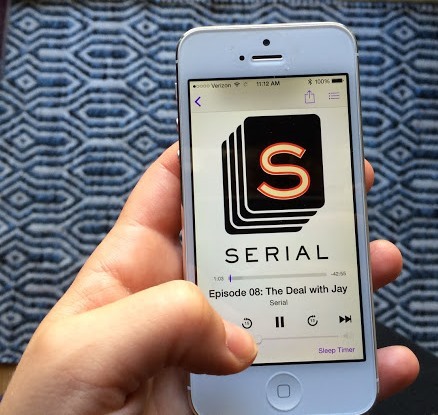 So how can the horrifically high homicide rate be explained? If not by the nature of the people then it must be by the force of their arms. The problem of course is that discussion of guns has fallen hostage to powerful political and commercial forces (the US is the largest domestic market globally for weapons). People here have become prey to cynical fear-mongering by the vested interests of the National Rifle Association who have managed to cow weak politicians into following their recipe for gun madness. And so in the wake of American Independence Day it is a sadly ironic that as people here celebrated their hard won freedoms, many failed to see how they have also become prisoners of their right to bear arms. The Game is (still) on………. I had intended on writing a post about the issue of race in America, but in recognition of the World Cup fever that has overtaken this country I feel compelled to pen some observations about the gathering love affair between the American public and football (aka soccer). As mentioned in my previous post, I approach this subject armed with ample quantities of ignorance and reluctance, as one of a shrinking minority that has little interest in the game. But given that everything from buying gum at my local 7/11 to travelling in a lift now involves some discussion of the latest match, I feel obliged to add my ten cents worth (or whatever is the equivalent amount in the UK). Putting the action on the pitch to one side for a moment, there is actually something interesting to be observed about the attendant side effects of the World Cup here in the US. 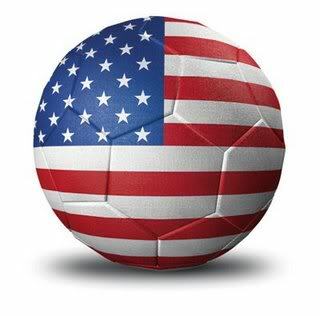 Firstly, while packing bars, restaurants and spare conference rooms (at least at my workplace), Americans seem to have surprised themselves with the level of interest and excitement generated here by the World Cup, and their national side’s participation in it. Commentators have gushingly noted how this World Cup is netting (warning: this piece will be sprinkled with football metaphors) the highest US TV audiences ever, for soccer. Almost 25 million people watched the fixture against Portugal (that’s about 1 in 12 people across the whole of the country). And judging by the ghostly quiet on the streets of the Nation’s Capital during the USA-Germany match even more of the population was glued to a TV screen yesterday (excepting yours truly who was at an fitness class attended only by a distracted instructor and one other person). Figures also show that the US is fielding the largest contingent of foreign fans in Brazil – way in excess of any Latin American or European country. Furrowed-brow discussions have ensued about what this all means, given the long-standing sporting isolationism of the US. Traditionally America has seen itself akin to the UK’s position regarding Europe, as summed up in the apocryphal newspaper headline, ‘Fog in Channel; Continent Cut Off’. For example, the ill-named World Series Baseball Championship involves only teams from North America. Coulter sees something fundamentally ‘un-American’ about soccer, seemingly implying that it has been smuggled across the Rio Grande by people set upon undermining very fabric of the USA. This charge must mark a first alongside the (more credible) assertions that the game is responsible for work absenteeism, hooliganism and increasing the profits of breweries. And yet within Coulter’s poisonous brew there is something worth examining. Many beyond the flaky ideological fringe see in the soccer phenomenon, a sign of an important (and positive) change within American society. In recent decades US has undergone a huge demographic change, most markedly with the increase in the number of Hispanic Americans. It is now estimated that at least 50 million out of over 300 million people in the country are of Hispanic origin. Spanish is now commonly heard in DC and other places on the East Coast, far from the traditional Hispanic heartlands in the West and South. With this demographic shift have come changes to the some of the old ways, including – many say – in sporting terms – the rise of soccer, which is now attracting not just big crowds but big money too. But to the inexpert eye, I think this is only part of the explanation. Passing the bars in down-town DC, and where we live in the suburbs, most of those glued to the games don’t look like the newcomers of Ann Coulter’s nightmares, but instead resemble the very people whose ‘great-grandfathers were born in the US’. There is undoubtedly a degree of faddism to the current soccer-mania, but it also seems to reflect a desire to be part of something alongside the rest of the world. The US lacks national teams in most games popular elsewhere, and soccer may provide that sense of belonging. In more concrete terms, there is the fact that the game is probably reaping the rewards of the soccer Moms and Dads who invested their Saturday mornings (as I do now) in taking their kids to weekend matches. I suspect that many of those 20 or 30 something’s now sipping beer over World Cup games grew up kicking a football rather than handling one. For me this means, that my trial by football will continue. The US is through to the last sixteen. But thanks to my daughters I am learning to distinguish Beckham from Beckerman, and Dempsey from Rooney, which will probably stand me in good stead in finding my place in the USA.